Expect to see A LOT of Cabbage Patch Dolls this year. If you thought Cabbage Patch Dolls were a thing of the past, think again! On the kids’ section of Etsy, the Halloween costume has gained huge popularity, with the online store selling everything from crocheted Cabbage Patch wigs to recycled clothing patterns, Jezebel reports. According to reviews on the site, buyers are mostly drawn to this costume idea for its cute factor. “My baby girl is so cute with [the wig] on. When she wears it out [in] public everyone else loves it just as much as we do,” one shopper wrote on the site. 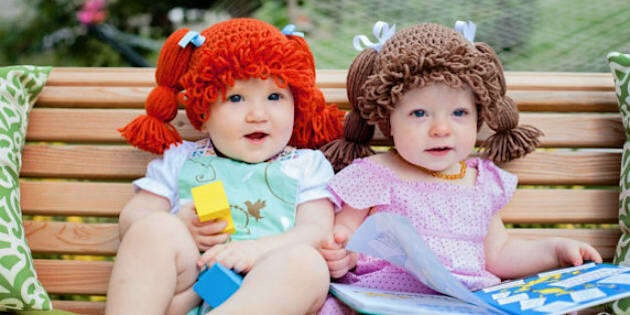 Cabbage Patch Kids became hugely popular in the '80s and became known for their yarn hair and adorable dimples. While the kids’ costume has always been a classic (and easy) go-to for parents on Halloween, its recent explosion in popularity is thanks to its practicality, as it keeps kids' heads warm.